Priya : I am a Bachelor of Science in Chemistry and a PGDCA. I work in IT field for more than over 12 years. I got married 8 years ago to my wonderful husband and a mother of 2 boys (or shall I say 3 counting my husband). Nithu's Kitchen : What are your interests? Priya : I love travelling (especially long drives), outdoors. I love travelling to nature rich places than some human built monuments. I love music (classical, semi-classical, bollywood, soft rock everything, you get the idea). I also love to read mystery and romantic novels, no science fiction though. 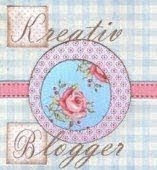 And, of course, the newst is blogging. Nithu's Kitchen : Who is your favourite author and why you like him/her. Nithu's Kitchen : From one of your posts, we came to know that you know many languages. How did you get this interest to learn many languages? Priya : Interesting story, as many of you may have already guessed from part of my name, I was born in an Pravasi Andhrite family (meaning Andhra family not living in Andhra), so obviously "Telugu" is my mother tongue. I was brought up in Jamshedpur, so Hindi is like my second language, actually my first as I speak Hindi better than Telugu. While I was growing up studying, I had a friend who was a bong and used to study lot of bengali books (he was my neighbor) and he was in the same grade as I was and he had this advantage of using my books and notes but I was at a loss when it came to sharing his notes and stuff. So, I took it as a challenge and learnt to speak, read and write Bengali. As my mom was born in Bengal and knew it all fluently, helped me big time and also the fact that I had lots and lots of Bengali friends. I learnt Tamil as I lived in Chennai for 2 years studying my higher secondary (don't ask why I went that far to study, my fate just took me there) and had to communicate with local people, shopkeepers and read bus names etc. What else? I learn a bit of Oriya (language of the state Orissa) as I had an Oriya neighbor for 10 years, so can understand. I have friends speaking different native languages like Kannada, Gujarati, Marathi, Punjabi etc. and can surely understand the basic language they are speaking. And, overall, I love to learn new languages as I feel that when you converse with someone in their native language, you win their hearts and get a better response and make special bonds. Sorry, the answer was little more elaborative than what you might have expected. Nithu's Kitchen : Wow!That is very interesting to know and We are very proud to have a multilingual person as our guest today.Say something about the place you liked most. Priya : Of course I love the place I was brought up at, Jamshedpur, it is a town in now Jharkhand state of India. I spent most wonderful years of my life there. Other than that, if we are talking about a place that I have visited, I will have to say Pittsburgh in PA state of US. Somehow the nature rich city won my heart. I also lived there for 9 months so came to love it more. Nithu's Kitchen : What is this special interest in music? where did you get it from? Priya : Actually, I have a history of music in my family. My mom, masi (mother's sister) all learnt music, both Karnataka and Hindustani Classical. On my dad's side, my grand mother, my bua (attya, dad's sister) not only learnt classical music, but also plays Veena (an instrument like Sitar from South India) very well. My paternal granny now at an age of 78 still sings well. I also learnt Hindustani Classical for about 5 years (didn't complete it though) and love anything melodious whether Hindi or English. My favorite instruments (to listen) are Sitar and Flute. The Music, overall, just calms me down and I love listening to it awake or to drift to sleep. Nithu's Kitchen : That is great Priya! When did you start to cook? Nithu's Kitchen : Do you have any mishap/ unforgettable incident from your kitchen. 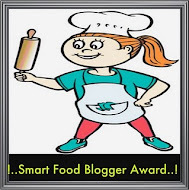 Nithu's Kitchen : What inspired you to start a blog? Priya : One of my friend and the fact that everytime I looked through net for some authentic Rajasthani recipes, did not get anything except the very common ones like Dal, Bati, Gatte ki Sabzi etc. So, thought of joining hands with my SIL (who has taught me a lot) and get most of the authentic Rajasthani dishes (from various parts of the state) in one place. Nithu's Kitchen : What dish do you have today to share with us? Priya : I will share Bharwa Shimla Mirch (Stuffed Bell Peppers), Rajasthani style. Nithu's Kitchen : Why did you select this dish? 1. Finely Chop potatoes really small (I have seen lot of people like to boil and mash potatoes instead of chopping them, but try this one, this has a different taste). I chop them about the size of a pea. 2. Finely chop/slice other ingredients as mentioned in the ingredients. 3. Crumble paneer (like you are preparing paneer bhurji) or chop them finely, if you like it that way. 4. Take 1 tsp oil in a pan, add the seeds, let them splutter and add onions/green chillies/garlic and fry them till onions are translucent. 5. Add all dry masalas and potatoes and cook till potatoes are almost done (remember they will get cooked more after stuffing them in pepper, so they need not be all the way done). 6. Add paneer, mix and cook for 1-2 more minutes and keep them separate. 2. Apply liberal amount of oil on inside and outside of the pepper. Also, take light salt and apply it on the inside of the pepper. 3. Now, stuff these peppers with the stuffing prepared above. 4. Take a wide pan (big enough to keep the peppers upright or sideways (I prefer sideways as then they get cooked well all around). 5. Mix 1 tbsp oil with about 2 cups of water and keep the stuffed peppers with enough space among them allowing you to turn them every few minutes. 6. Cover the pan (as remember you mixed water and oil and they will start bubbling soon and start spitting outside). 7. Cook it on medium heat and keep checking every few minutes. 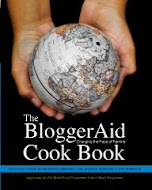 You may have to add little water every now and then (make sure your pan is not dried up). 8. 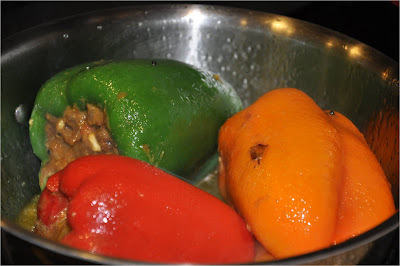 Every time you go and check the wellness of peppers, pour some water-oil mixture from the pan on top of the peppers. 9. Once you will see the skin of the peppers kind of peeling, consider it done. 10. Remember, the peppers shouldn't be mushy. They should have a bite (but remember not to leave them raw either). 11. On medium heat, this process will take arund 15-20 minutes (of course lot of things will matter but still about this time). 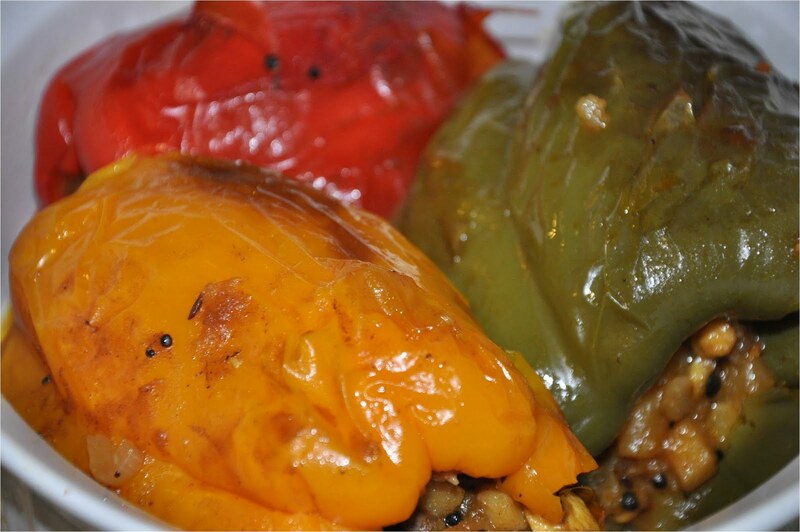 Serve them hot with roti/paratha/naan and enjoy this nice stuffed peppers. Nithu's Kitchen : Thank you so much Priya. 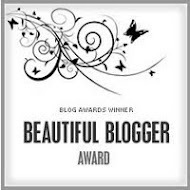 Friends, Hope you loved this wonderful post from our guest. 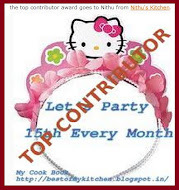 If you are interested to be featured as Nithu's Kitchen's Guest, please mail to Nithuskitchen@gmail.com. Nice knowing a lot about Priya. I guess she and I are going to be awesome blog buddies because she likes J.k. Rowling and Stephenie Meyer. My favorite authors who spin a tale of Fantasy and Mythical creatures with such expertise. 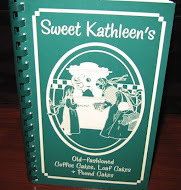 Great to know she knows so many languages..The stuffed peppers recipe is awesome. I am going insane wanting it. So bright and colorful and mouthwatering it is! Such a treat to read the interview between you and Priya. Seemed like you are an ace journalist and her being a celebrity. Thanks to your husband we could share this Shimla Mirch bases recipe today. This intervie looks pretty cool..It was so nice to know more about priya. Shimla mirch looks so colorful. One more time a fascinating interview by brilliant interviewer and interviewee.Very nice to know more about Priya Mitharwal.Stuffed peppers look very beautiful like art. glad to know that you like HP books and twilight books too..my daughter may be wants to friend with you..whenever those books comes out she sends my hubby to get 12 o'clock at night..nice to know little about you! Shimla mirch I could eat without roti..
Great to know more about Priya..such a beautiful dish she shared with us, thanks to u both Nithu & Priya..
Nice interview Nithu, Good to know about you priya. Capsicum looks really good. Nice knowing about Priya and delicious dish here..
very happy to know the other side of priya.. great work nithu.. congrats..
hey good interview..and great mouth watering recipe there!! Yummy Recipe! Thamk u very much for ur lovely words on my dishes dear. Glad to know more abt Priya. Thanks to Nithu for bringing out a new post like this. Loved the dish.